As you might have noticed, we’re still refining our voices and finding our schtick here at the Left/Right. Site adjustments come with the territory. We selected our header image today, and it came from an unexpected source. That sounds like clickbait, doesn’t it? Since our blog has a mix of everything, the choices for a header image were plentiful. Kelsey said she wanted a galaxy. Okay. I like stars, too. I know that many military and government sites offer royalty-free image resources, so I turned to – you guessed it – NASA. 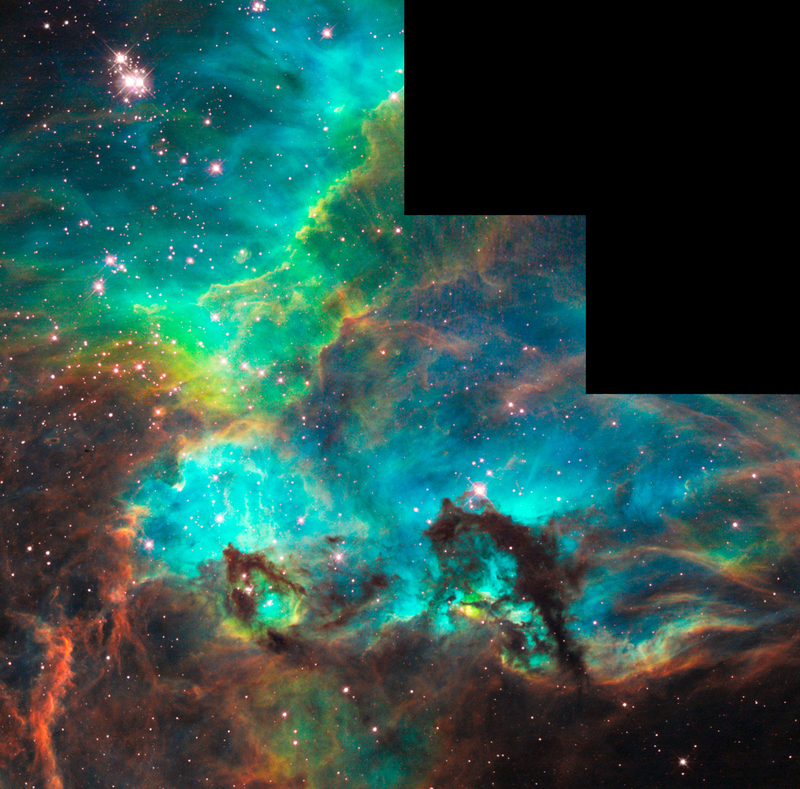 The image we selected is from the Hubble Space Telescope. The NASA site has lots of spaces (get it?) to explore, so check it out next time you need to spice up a PowerPoint. P.S. Those black squares? Part of the picture, friends. Aliens? Lazy Hubble? Who knows.